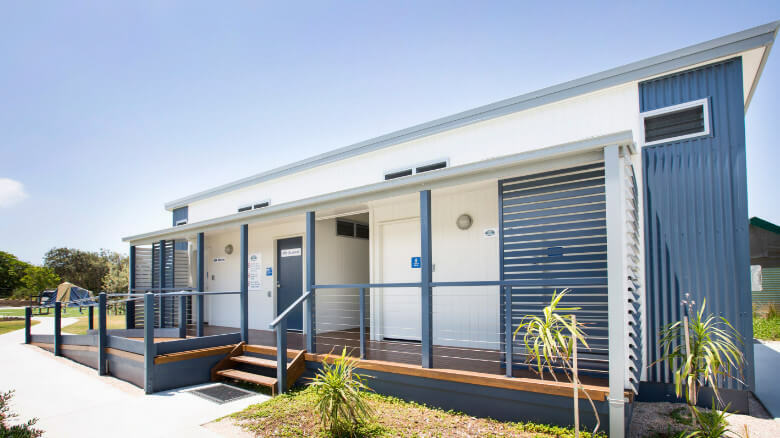 Our amenity buildings are a great addition onto your property or business, adding the functionality and facilities you need and adding value and appeal. 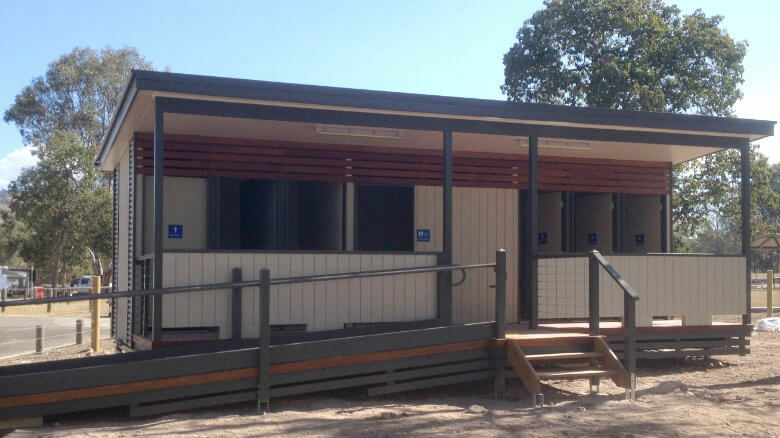 When you need a restroom or shower facility for your premise, you need both form and function. 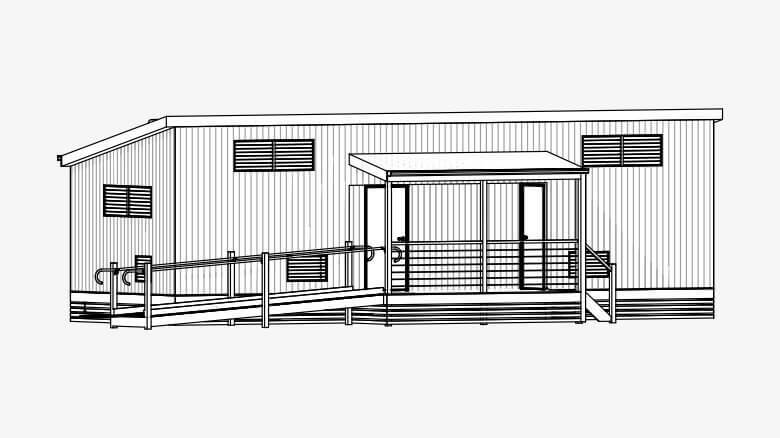 You want a portable or modular building that doesn’t look like a portable or modular building, and that’s exactly what we build. 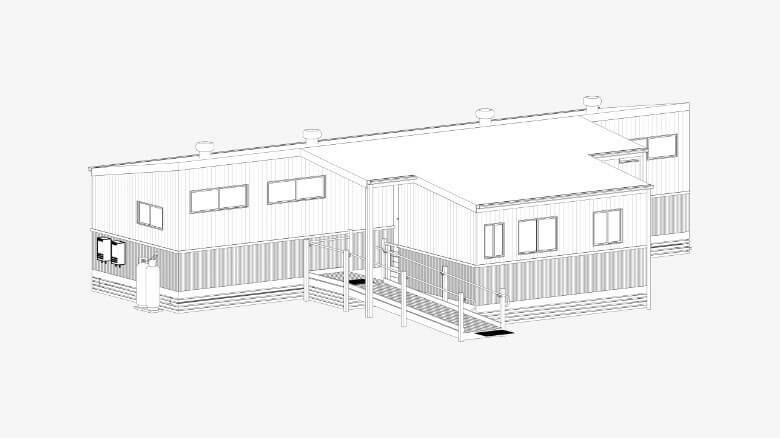 Our amenity buildings are beautiful, stylish, and modern, and a pleasure to use. Choose from our wide selection of proven layouts, and customise your building based on your exact needs and design preferences. 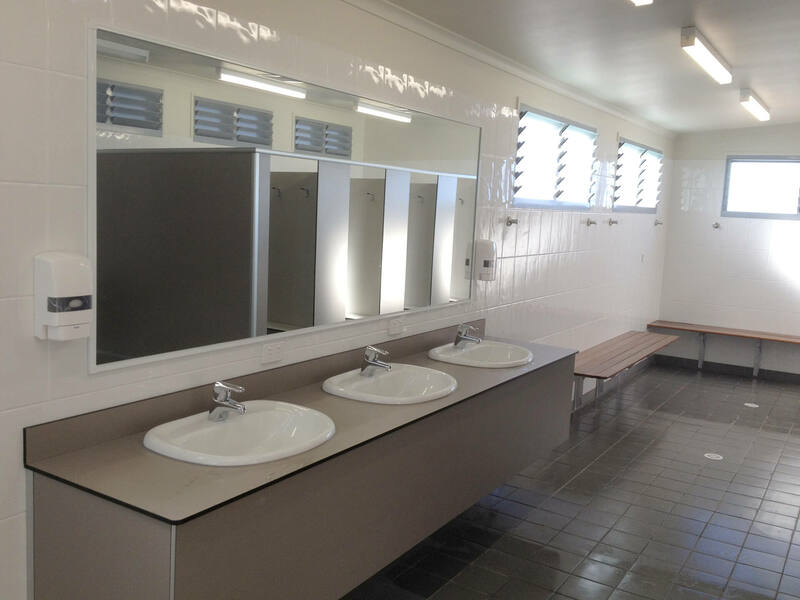 We use only the best materials and workmanship in every building we construct in our yard in Currumbin. 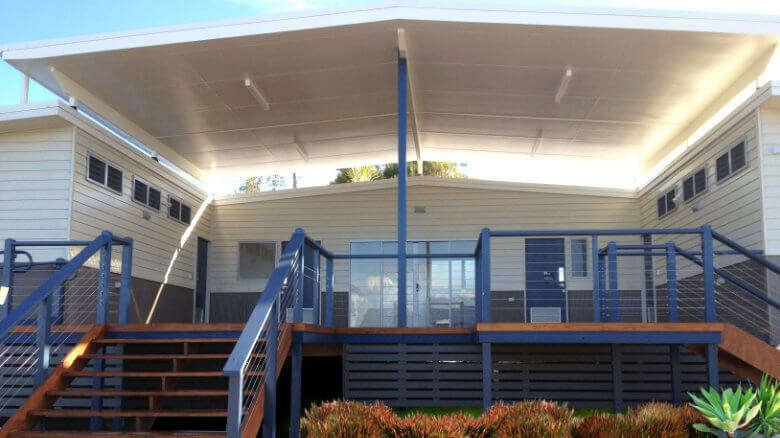 They’re built tough to withstand Australian conditions, and transported and assembled by our expert team. 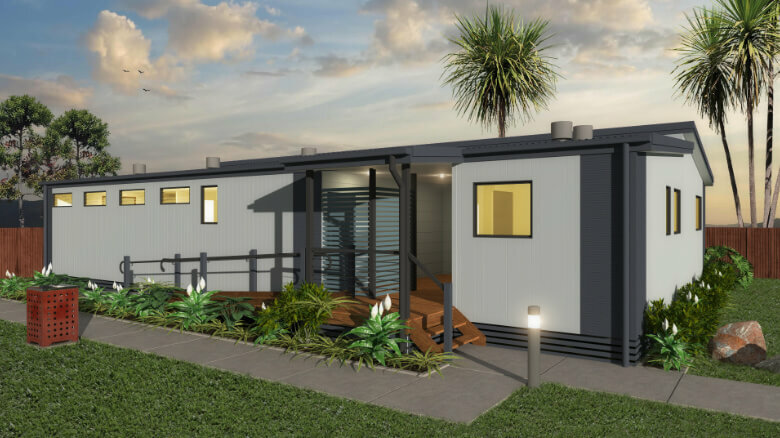 We’ve installed buildings in busy holiday parks, tight residential blocks, steep ground, and any other condition you can imagine. 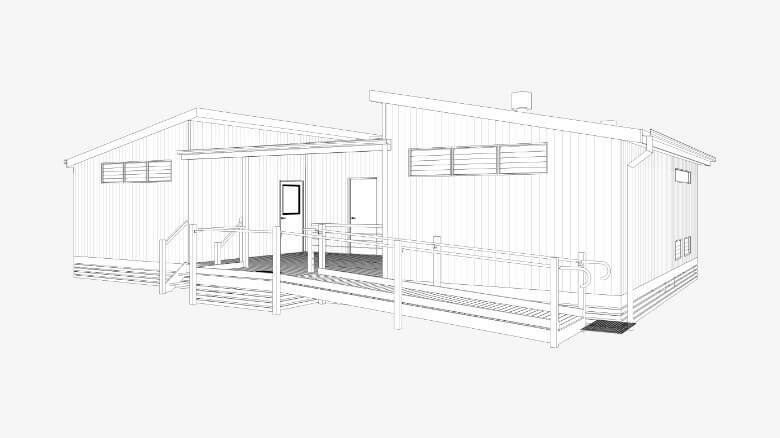 They include all the features you need, and can be built to accommodate accessibility needs, family bathrooms, laundry facilities, and extra features like entry keypads and signage. We can also advise you on council rules, energy efficiency and sustainable materials. 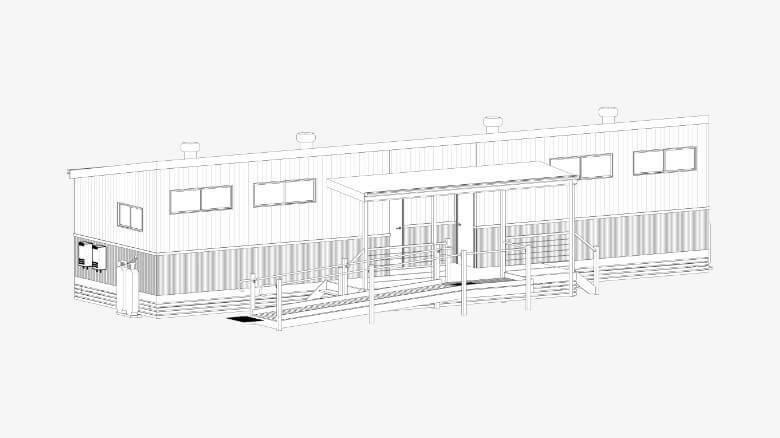 Our amenities buildings may look like a million bucks, but they won’t cost you an arm and a leg. Our building process is cost-efficient without being cookie-cutter. Share your vision with us and define your budget, and our team of specialists will bring it to life! Give us a call today to get started.